Sand monitoring can be a time-consuming process that requires experience, so using the operator’s own personnel can be expensive. Continuity is also important, and frequent changes of personnel make it difficult to maintain the necessary continuity and experience. 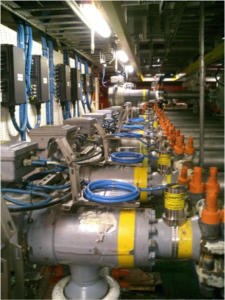 However, installing and using ClampOn acoustic sand detectors on a well-designed and well-maintained system is not complicated. 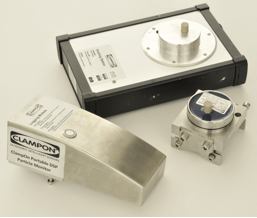 Who should manage and operate ClampOn systems? The operators? ClampOn? Or service and engineering companies? Several companies with various degrees of competence offer sand monitoring services. For simple systems that are already installed and where the design job has been carefully thought through, this can be an inexpensive way of outsourcing sand monitoring. For its part, ClampOn designs entire sand monitoring systems, manufactures sand detectors and offers a full range of sand monitoring services. The complete lifetime service is only available for equipment delivered by ClampOn. ClampOn’s new battery sensor means cable-free sand monitoring in sites that lack access to power. The ClampOn service and support organization employs highly qualified and experienced engineers, fully dedicated to the management of ClampOn instruments and solutions. Our staff of field engineers, certified to work anywhere in the world, is ready to mobilise at short notice to rectify your sand-monitoring problems. The team also helps operators in the planning, commissioning, calibrating and preventive maintenance of their installations. Another important service offered by the group is temporary, short-term sand monitoring, for example during a well test or sand production survey in a field that lacks proper sand monitoring equipment. The ClampOn equipment used for this service is portable and lightweight. It can be hand-carried to any part of the world and is operational within minutes. All fields with a support contract enjoy the services of a dedicated ClampOn support engineer. Our engineers have extensive sand monitoring and field experience, as well as of maintaining and working with ClampOn equipment. The fact that a single engineer is regularly monitoring an operator’s wells gives him unique knowledge of local conditions, enabling him to spot any irregular well behaviour. Our engineers’ extensive field experience provides a unique understanding of the conditions in which the equipment is installed and the procedures in place to ensure safe and economical operation. Such day-to-day monitoring ensures that the operator’s data are correct and that operation is as safe as possible. Data are formatted into customised weekly, monthly or quarterly reports, which typically include detailed information about sand production by each well, and statistics showing long-term trends and total sand production. The technical condition of the system and any need to service, calibrate or update system parameters are described. For most systems, a revised table of calibration parameters can be provided and, depending on contract and procedures, the revised configuration files can be directly uploaded to the ClampOn system. The support engineer acts as the single point of contact regarding any issues and plans and coordinates field visits as required. The support engineer clarifies details with the customer and briefs the field engineer, and reviews and approves the field engineer’s report after each job. When ClampOn starts work on a field, we may have to “repair” an existing installation. For example, sensors may have been poorly installed by unauthorized personnel, or in the wrong location. The communication system may not be working, or not even have been planned for. Close contact between the ClampOn support engineer and other groups at ClampOn, especially field service, production, projects and R&D, ensures that any issues can be resolved efficiently. 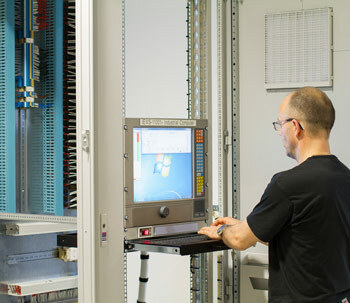 If the ideal solution is not possible, for example due to a lack of infrastructure, network, communications or process data, our support engineer, in collaboration with field service and R&D, will develop special solutions to get the most out of the system under the given operating conditions. This might involve an automated configuration process not based on process input, customised communication using email or USB keys, or other solutions. Sand monitoring can be simple when sand production is low enough to ignore. However, it can also be a very difficult and frustrating process, while mistakes can be both dangerous and extremely expensive. ClampOn, being responsible for all links in the chain, never walks away from its clients’ problems. With our wide range of experience, we often find an immediate explanation of what we are seeing. Sometimes, however, a more in-depth analysis of the problem is needed. The solution to a problem may involve moving the sensor, changing frequency settings or using filters. In some cases, recently added features in our newer sensors, such as built-in flow-velocity measurements, vibration monitoring or multiple-frequency monitoring, may be the solution. 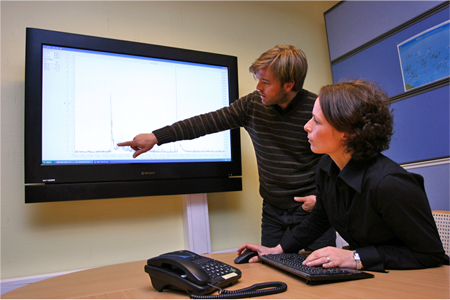 ClampOn collaborates in many R&D projects with research institutes, universities, DNV, SINTEF and other organisations. 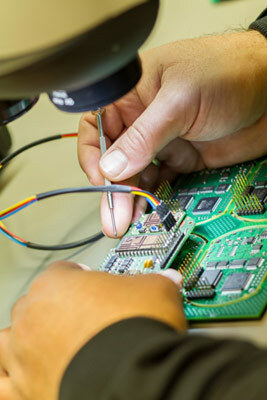 Some projects are related to the continuous development and improvement of our instruments. The results and experience gained from such research and from monitoring 550 wells daily as well as many more on a more sporadic basis, give ClampOn unique knowledge and insight into sand monitoring and sand production. We are happy to share this knowledge with our customers. The support contract and the close cooperation that results from work done during the lifetime of the contract, the continuously improved ClampOn experience will immediately benefit your operations. Some operators outsource monitoring activities to other service companies with various degrees of expertise. These service companies are not ClampOn customers and may even be our competitors, so when they have problems, ClampOn will be unable to help; we do not see it as our job to train the competition. A third party “sand monitoring company” lacking knowledge of or responsibility for the equipment or system installed can easily step away and blame any problems or uncertainties on others. This is something that ClampOn cannot do. We will always be the responsible party, and will solve the problem. Who can do what? Do we need more than one contract? System design Unlikely We design the optimal system for any given installation. A few companies might be able to design parts of the system. System management and sand reporting Yes, with proper training and continuity ClampOn is highly qualified to perform this task. A few service companies can to some degree take care of sand production reporting. Service companies will not have access to the knowledge and support that ClampOn makes available to operators. Erosion calculation and reporting Many operators are well qualified to do this, although it may not be cost-effective for the operator to perform the simple erosion calculations. ClampOn has access to DNV’s model for erosion calculations and enjoys the support of DNV in this task. Some service companies can do this. General management of sand monitoring operations Operators are well qualified to do this, especially with support from ClampOn. This is not always cost-effective. Personnel continuity may be an issue. We have wide experience of performing this process in large fields for major operators. Some service companies can do this. Service companies do not have access to the same ClampOn support as operators. This is important when system changes and software modifications are required.